My name is Enrique Colinet and I was born in Seville (Spain), back in 1984. My first computer was an Amstrad CPC 464. I was only 5 years old when I started trying to “code” games by copying command lines that I could hardly understand, directly from the user manual included with the computer. Shortly after getting my first PC (in 1996), Half-Life was released (1998). The fact that the game came with a level editor blew my mind. As soon as I figured out how to use it, I started making maps for Counter-Strike, and a few years later, when the modding community became important, I tried again with a few maps for The Specialists Mod. After an unsuccessful attempt to get one of my best maps into the official map list included in The Specialists 3.0, I stopped making maps until Half-Life 2 came out in 2004. With Half-Life 2, I recorded and uploaded a pretty popular collection of video tutorials in Spanish about how to use Hammer Editor and its tools. My curiosity led me to attempt to recreate a classic game like Arkanoid using only Hammer’s scripting tools (no code), with an unexpected success. This achievement granted me a respectable position amongst modders in 2007, since I was able to make a game with no programming skills. Even Garry Newman (from Garry’s Mod) wrote a post about my work! MODDB awarded BlockStorm, my first feature complete mod, for Best Puzzle Mod 2007. 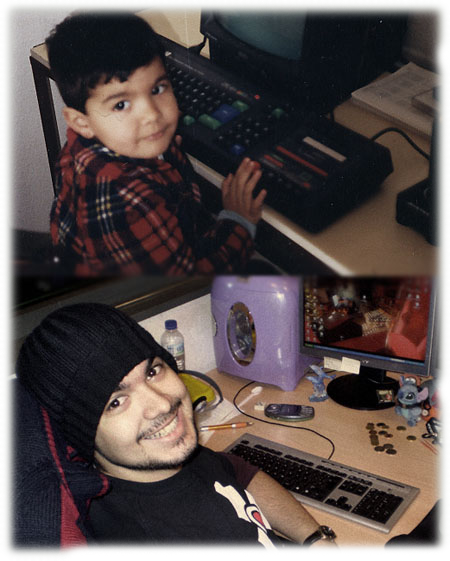 With dozens of video tutorials published, several codeless projects on-going and even a small fan-base supporting my unfinished mods, I got my first job at Pyro Studios (Madrid) in 2007. Since then, I’ve been working as a professional Game/Level Designer. We worked on a project called COPS: The Police Experience. The CEO decided to reestructure the company and, foreseeing what was about to happen, I decided to part ways before the project was cancelled and moved to Germany. For 7 years I’ve been working at Yager Development (Berlin) in games like Spec Ops: The Line and Dead Island 2 (which, unfortunately, was cancelled after 3 years due to differences in the game vision from both publisher and developer). Currently I’m spending some time training myself, learning more about Unreal4, Unity, modelling, programming and prototyping.